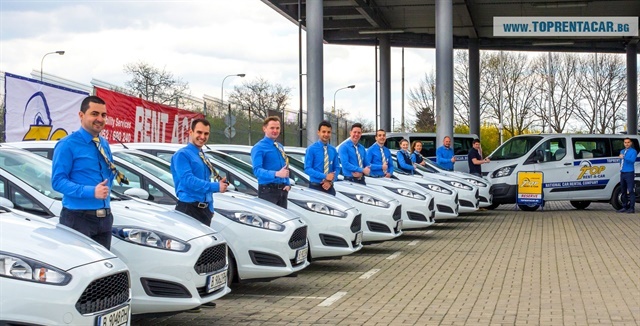 Based in Bulgaria, Top Rent A Car has hit 150,000 unique customers. With more than 14 years of experience in the rental industry, it has over 1,200 new cars in its fleet. Currently, Top Rent A Car has 15 offices in Bulgaria and makes deliveries to the main airports in the Balkans region. Last year, Top Rent A Car started offering a guaranteed service. The company guarantees the make and model the customer wants to rent with additional vehicle specifications — built-in GPS, fuel type, specific type of engine, and level of equipment. In 2015, the company started providing the electric Renault Twizy. Currently, Top Rent A Car is the only company in Bulgaria — and on the Balkans — that offers hybrid and electrical vehicles such as Toyota Yaris Hybrid, Renault Twizy, and the Ford Fiesta EcoBoost. This year, Top Rent A Car Bulgaria established a low-cost brand. The LowCostCars brand focuses on customers looking for cheaper solution — 3 to 6 year-old cars that are well maintained, according to the company.